Once more, instead of entirely new vehicles, Rockstar has used a weekly update to enable the purchase and ownership of existing vehicles in Grand Theft Auto Online that you just couldn't store in your garage before - at least, not without glitches. Joining the two vehicles are a set of double rewards promotions, discounts and a login reward. 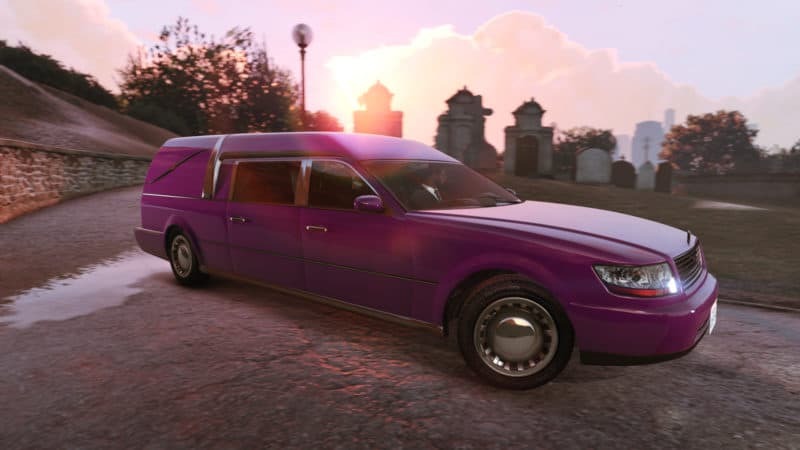 The two "new" vehicles are the Mammoth Patriot and the Chariot Romero Hearse, the latter being one of the rarest spawns in GTA Online out in traffic. Both are available from Southern San Andreas Super Autos and have been slightly updated in terms of visuals, and they can now be upgraded and customized at your leisure. The Romero costs GTA$ 45,000 while the Patriot goes for GTA$ 50,000. Both of these prices are mighty humble compared to what new vehicles cost, but it makes sense considering they have been in the game since launch. Rockstar is helping you complete your After Hours wardrobe with this week's login reward. 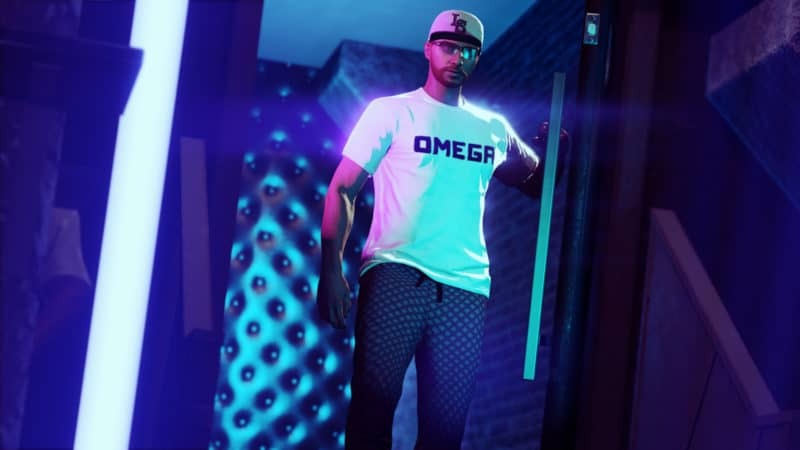 Simply playing GTA Online will net you an exclusive Omega t-shirt with black lettering on a white base. This week we're not getting any special liveries it seems. However, that is being made up for in the double reward department. Last week's promo of twice the RP and GTA$ on all Running Back (Remix) maps is being extended, but that's hardly the end of it. Business Battles yield the same amount of supplies as usual, but the RP and cash boost apply to them too, as well as to Terrorbyte Client Jobs. Client Jobs are quick but well-paying activities that are particularly worth grinding when paying twice as much as usual. Nightclub popularity decay has also been halved this week, meaning you'll need to worry about increasing popularity less frequently. This is paired with one of the oddest discounts we've ever seen in GTA Online - a 25% discount on all champagne from nightclub bars... which are free if you're in your own club. The other discounts are more interesting, thankfully. Rockstar wants you to go clubbing, and has slashed prices on all nightclub renovations, add-ons, upgrades, warehouse technicians and After Hours clothing by 25%. Hangars and Gunrunning Resupplies are half off additionally. There are some great sales on the vehicle front as well. The B-11 Strikeforce is 25% off, the Pfister Comet SR and Overflod Tyrant are 30% off, the Truffade Nero is 35% off and finally the HVY APC, the Mammoth Tula, the Buckingham Pyro and the P-996 Lazer are all 40% off. Though the recent onset of Red Dead Redemption 2's marketing deluge is stealing the spotlight, Rockstar has reassured fans that support for GTA Online won't be stoppinganytime soon.